I think I've used this for my WoW before, but I so love Leah Cypess that it's worth revisiting. It's almost out! I've read A Touch Mortal sometime ago & she and I had not connected. Maybe it was my mood. But this one. I think I'll take a chance with this one. I am so excited for this book! 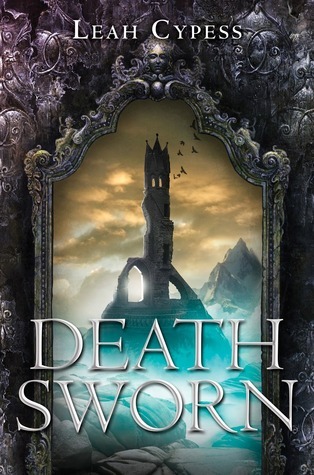 I've heard a ton of good things about Death Sworn and this just sounds so good! I haven't heard of this book before now but it sounds like something I'd quite enjoy. Oh my! That definitely sounds intriguing.. Going to add this to my tbr list :) Thanks for sharing! Nice pick! I have an ARC of this one to read... sometime this week. :) I hope you enjoy it when you read it! Check out my WoW and my birthday giveaway! I have yet to read anything by her. Thanks for the recommendation! Great pick. I've seen this around a few times. It sounds just like my cup of tea. I hope you enjoy it. I just had to look back and see if I used it previously too. I haven't... YET :) I'm excited for this one as well! It's my kind of book! I love high/epic fantasy! You should check out my WoW, my book kind of has the same flavor as yours! I haven't read anything by Cypess yet but this looks like it is my kind of book! Thanks for sharing! Even without losing everything I would willingly sign up to a secret magic sect to become an elite assassin! I mean, career plan sorted! The cover for this novel is absolutely stunning! I think this one will have to go on my TBR pile! Thanks for sharing :) Hope you have a good rest of the week! This book sounds great. And the publication date is close so you don't have to wait too long. Oh nice! Been seeing a lot of this one lately! Love the cover! Definitely gives off that mysterious, mystical vibe! I have this book on my shelf and need to read it ASAP. But I think I still need to finish her other series as well. I wasn't too keen on this one, but I do recall how much people loved Mistborn by Leah Cypress when it was released so I still really want to read that one! Can't wait for this! It sounds amazing :) Great pick.